A graduate of Arizona State University, Kris had the opportunity to study with renowned composer Daniel Lentz and performing artist Richard Lehrman. He developed his skills accompanying ballet & modern classes on piano, guitar, & percussion and composing for modern dance performances at ASU for 10 years. Some of his compositions for dance have been performed at the Joyce, Soho, NYU, Wave Dance Fest. NYC, Arizona Museum for Youth, and Virginia Piper Theater. Performance credits also include PHX Symphony Hall; Museo del Barrio, NYC; the Olympia Dome, WA; and Woodstock as well as many international venues. 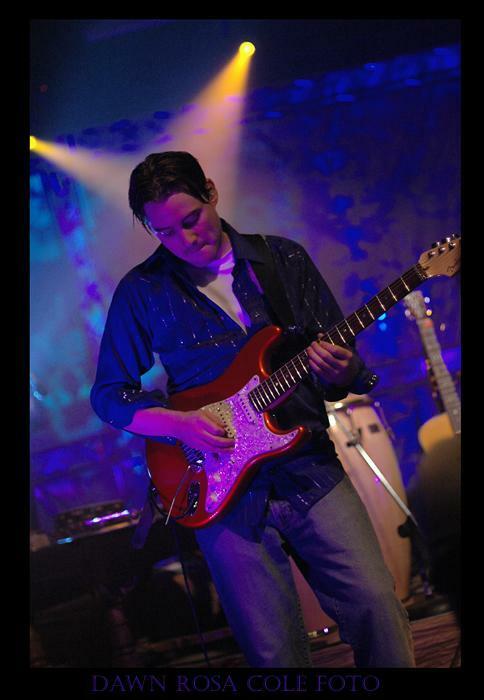 Kris is a member of some other local groups where he plays keyboards, guitar, & percussion. Calo Flamenco: A 20 piece flamenco troupe, The Drunken Immortals: a seven-piece hip hop band who tours internationally and has many recordings to their credit, The Pangean Orchestra: An orchestra of musicians and instruments from around the globe, and CBJ Flamenco Ensemble: A 6 Piece music and dance ensemble. His music can be heard in the upcoming Sony Pictures film Universal Soldier III, set for release February 2010. Kris has spent many years working with at risk children in music and dance workshops in group homes throughout the valley, as a guest artist with Free Arts AZ. Currently, he is program Director of Earcandy.org, teaching guitar at Notre Dame Preparatory and Director of Music at Metro Arts Institute.